The story is inspired by my husband's experience as a naïve teen sent out of Cuba on the eve of the Bay of Pigs Invasion to retrieve smuggled family jewels and settle his family in America. His journey to freedom was fraught with peril. With strength, perseverance and dignity he learned that success is not always measured by what one becomes but often by what one overcomes. Concrete Wings: One Man’s Fifty Year Journey to Personal Freedom by Beverly Gandara is a historical novel that follows the life and struggles of Julian Vida, a Cuban immigrant, and his journey to inner freedom. It is the eve of the event that has come to be known in history as the Bay of Pigs Invasion and a naïve teenage boy, Julian, is charged with saving smuggled family jewels, escaping being drafted into Fidel Castro’s army, and preparing a place for his family in the US. This is a coming of age story that explores the political and sexual revolution in the USA. Julian experiences a lot of freedom until the arrival of his parents, who can’t blend in with the American way of life. Read on to discover his heartaches, his inner turmoil, and what constitutes his ultimate success. This is a beautiful story that is beautifully told and the reader is transported into the Cuban world view at the wake of the twentieth century. One of the things that caught my attention was the vivid portrait of the culture as the author weaves cultural elements into the story, allowing readers to penetrate the soul of the Cuban. The historical references come out neatly in the narrative and readers will be absorbed by the social commentary the author makes. The conflict is well-developed and it has a lot of psychological implications for the protagonist. Concrete Wings: One Man’s Fifty Year Journey to Personal Freedom is a captivating story that is told in the first person narrative, pulling the reader into the narrator’s point of view irresistibly. Beverly Gandara transports readers to a powerful historical and cultural setting and makes them fall in love with the characters. This book is an absolute historical treasure - a fictitious accounting inspired by the true story of the author’s husband’s defection (as well as other defectors) to the United States from Cuba as a young teen on the eve of the Bay of Pigs Invasion. I could not put this award-winning novel down as I read about Julian’s young life in Cuba - from family infidelities to domestic disturbances to young love, to his struggles in finding his footing in a new land. His desire to build a life for himself & his never-ending loyalty to his family are to be greatly admired. I consider this book a must read for teens, adults, & anyone who believes in the American dream. 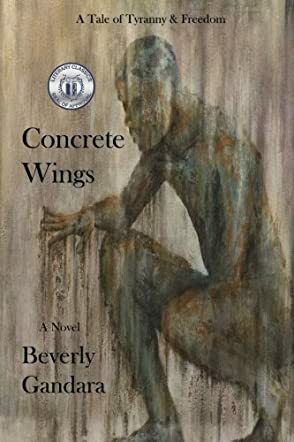 Concrete Wings, written by Beverly Gandara, is a delightful and compelling story about a very likable protagonist- a young Cuban boy who immigrates to the United States in a most unusual and dangerous way. The writer’s style is as smooth as ice and it’s exciting to follow young Julian on his interesting, but difficult journey. This book is also an important story about love and family relationships, which everyone can relate to in one way or another. Set against the backdrop of 1950s and 1960s Cuba and New York City in the 1960s and 1970s, the scenes are presented in such a visceral way, that they have been indelibly etched in my mind. I very much enjoyed this book and highly recommend it! !